Now that you’ve qualified your leads, it’s time to put them through your sales process. The desired outcome of this stage is to get new customers to purchase your products and services. The sales process refers to the actions taken by the account executive to present a company’s offering to a prospective client. The first contact with your customer is typically an initial sales meeting. Most likely, no purchase decisions will be made at this step. The desired outcome of this stage is for your prospect to move forward and set up a next meeting where you get the chance to pitch and present a proposal. At this stage, you’re meeting with the buyers and financial decision makers within your prospective customer and you pitch them on your proposed solution. If the buyer is interested, they’ll most likely dig deep into the technical and/or implementation details of your proposed solution. Be ready to handle any concerns and objections your customer may have. In the case of your customer requiring some validation of the feasibility or impact of your proposed solution, you should consider offering a demo or trial period. The goal of this Demo is to demonstrate the benefits of your products and services. In order to achieve that, define the conditions well so that you can present an ‘investment analysis’ to your customers upon completion of the trial. The goal of this stage is to provide your buyer with the materials necessary to consider and evaluate your offer during his or her buying process. The sales proposal is the complete set of products, services and information you offer to your prospect. At this point the sales process is over from the salesmen’s point of view and it is time for the buyer to begin their own sales process. The goal of this post was to provide you with basic outline of the steps you need to take to communicate and persuade your prospect into buying your product and service. 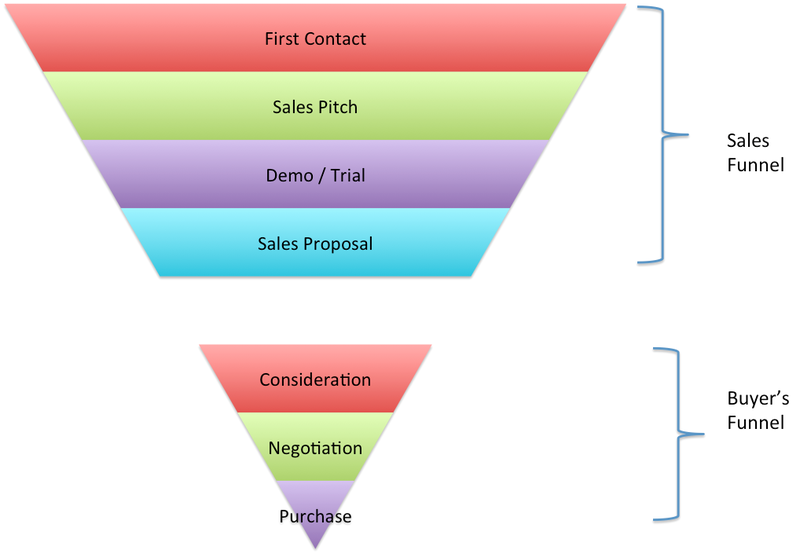 In the next post, I’ll dig into the Sales Process from the Buyer’s point of view.